These lovely looking candles by American brand FOR EVERY BODY (www.foreverybody.com) attracted my attention. So, I smelled one and another and the rest of them, spending far too long admiring each scent while my hubby stared at me not understanding what is taking so long. Citrus & Vanilla Vintage Candle scent made me think of freshly squeezed tangerines with a large amount of vanilla. The fragrance is so true-to-life, a perfect candle for the kitchen, where I keep mine. Spa Therapy Bamboo Leaf is amazing too. I have difficulty removing myself or my nose from the jar :) It has a gentle and relaxing scent and makes me think of pandas relaxing. Yes, I do like this brand of candles. To be honest I did not think too much about what some candles are made of until now. 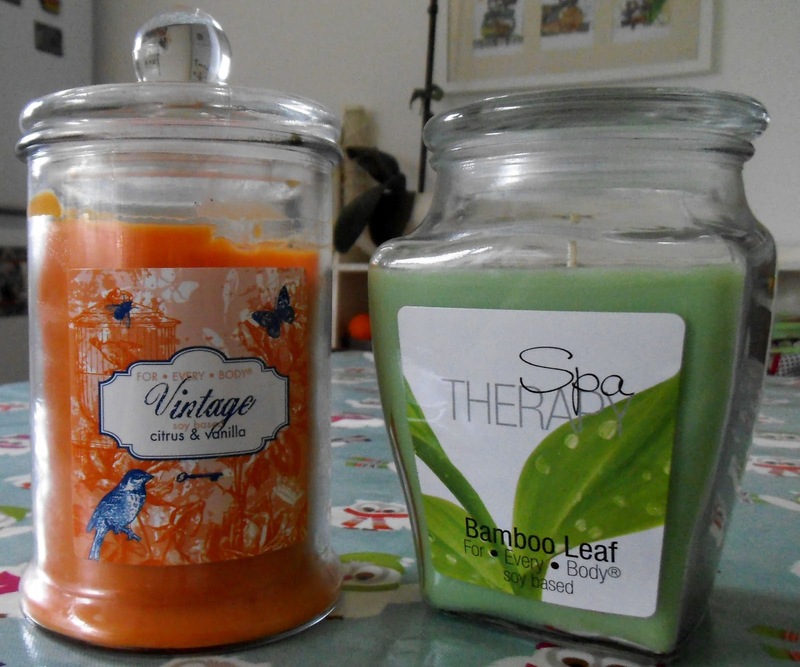 After purchasing these soy based candles I read up about them. Soy candles are made from soybeans making them an easily renewable resource and as they are vegetables soy wax based, the byproducts of the manufacturing processes are biodegradable. Soy wax is non-toxic and burns clean. Candles burn at a slow rate creating long lasting experience (18 oz or around 0.5kg lasts around 90hours). FOR EVERY BODY also uses lead free wick and wax spillage is easy to clean with soapy water. Therefore there are so many more benefits of using soy candles over perhaps cheaper paraffin candles that leave black soot and some bad chemical vapours. No doubt I'll be back to top up my supply of these little treats soon.